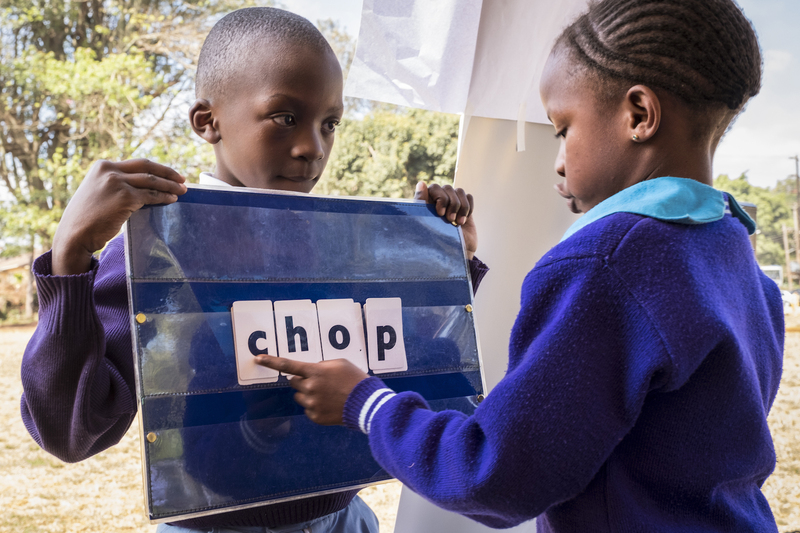 RTI’s Tusome ("Let's Read") Early Grade Reading Activity in Kenya, USAID's flagship education project, has achieved significant improvements in reading outcomes, according to a new midline evaluation report. The project is now in its third year and is working to improve the literacy of over 6 million children in grades 1-3 across Kenya. One of USAID's largest early grade literacy programs in Sub-Saharan Africa, Tusome is currently working in more than 23,000 public primary schools and alternative basic education institutions (APBET) in nonformal settlements. The program’s approach to improving early grade reading draws upon evidence-based learning materials, proven teaching methodologies, and an innovative tablet-based feedback and monitoring system. To understand the project’s impact, the external evaluation assessed 4,896 pupils in grades 1-2 across the sampled schools at the midline assessment in October 2016. The evaluation team concluded that Tusome is significantly improving reading outcomes, tripling the number of children who read at Kenya’s benchmark for oral reading fluency in Grade 2 from baseline to midline. The evaluation identified improvements on all 14 of the Early Grade Reading Assessment subtasks used to measure foundational skills needed for language acquisition, in both English and Kiswahili. This includes basic skills like letter sound fluency and decoding skills, but also oral reading fluency and reading comprehension. The external evaluators also emphasized that Tusome has successfully scaled-up its activities at each level of the education system- a vital element of program success. The full midline evaluation report can be found on RTI’s online platform for international education practitioners, SharEd.